Cute Shoes with skirts. Skirts never go out of fashion and look good on anybody figure because of the versatile styles they come in. You can mix and match them with different shoes, shirts, and jewelry which is both time and cost-effective. You can experiment with different lengths and pair them up with stunning shoes. 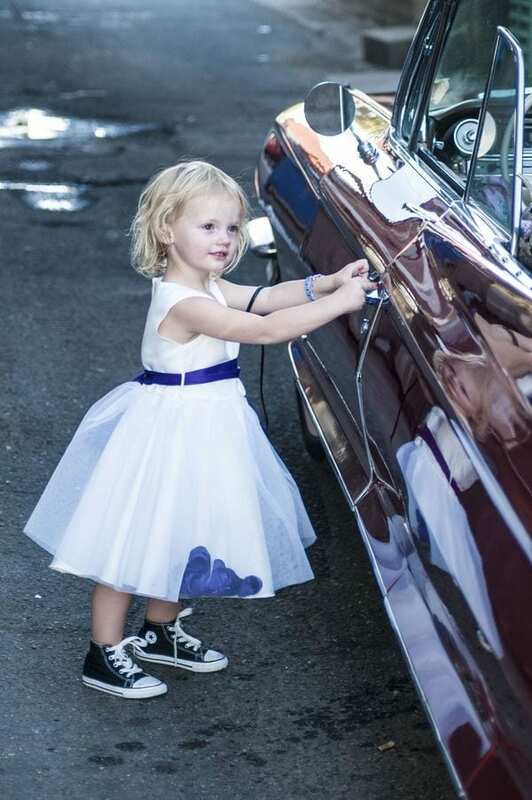 There are a variety of footwear choices to pair up with different types of skirts. But which shoes will look best with your skirt? 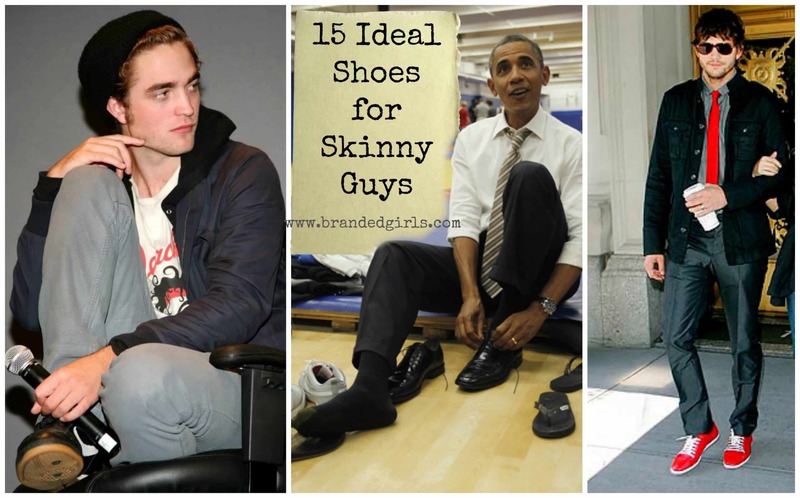 In this article, we’ll be sharing 20 recommended choices of shoes that you can wear with skirts. Wear neutral-colored ankle boots with pencil skirts to have a balanced look and this also makes your legs look long. Darker shades of ankle boots just make the bottom area of your outfit look heavy. For some more cool outfits, you can wear to work, have a look at [highlight]Fashionable Business Attire-15 Casual Work Outfits for Women[/highlight]. Trumpet styled skirts always look good with heels like kitten heels or t-strap heels. Flats, boots or wedges should not even be considered to for wearing with this type of skirt. Wearing pleated colorful skirts with boat shoes is quite a popular trend. Boat shoes clash with formal outfits. So, always pair them up with funky looking skirts as they both complement each other. For some more interesting outfit ideas, have a look at this [ highlight]20 cute Ariana Grande Outfit combinations every girl will love[/highlight]. 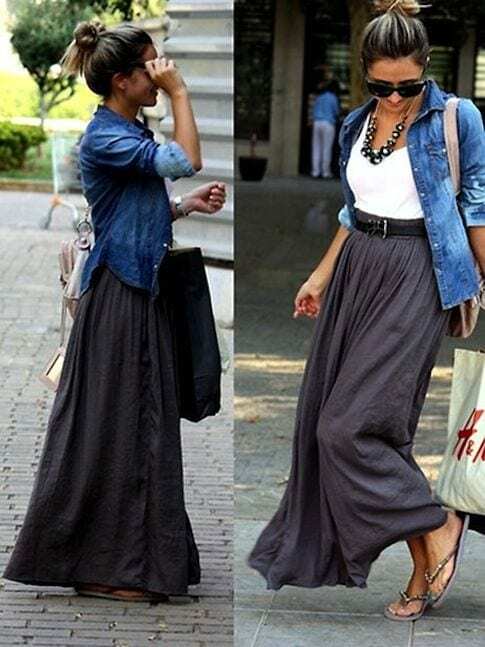 Flip slopes can be worn with flowy maxi skirts as they both give a quite summery look. You can choose colorfully or animal printed flip flops to wear with maxi skirts. You can wear espadrilles with a maxi or midi length skirts. If you wear them with maxi skirts try choosing espadrilles with heels to differentiate them from normal slippers. Pairing up cute colorful ballerinas with denim skirts is always a good option for a stroll around the town. There are a number of different ways to wear ballerina with your skirts and to rock them in whatever occasion you are going to wear them. If you want to get a perfect street look mixed with elegance and grace then this ballerina combo is the one for you. Go for the dull colored skirt and then wear dull colored plaid pattern shirt with it tucked all the way into the skirt. For the ballerinas go for opposite colors like gold or silver to perfect the whole look. For the accessories, you can wear anything as long as it is going to be in gold or silver color to match your ballerinas. This winter season, invest your money in buying a cool and classy pair of boots to pair up with denim skirts. 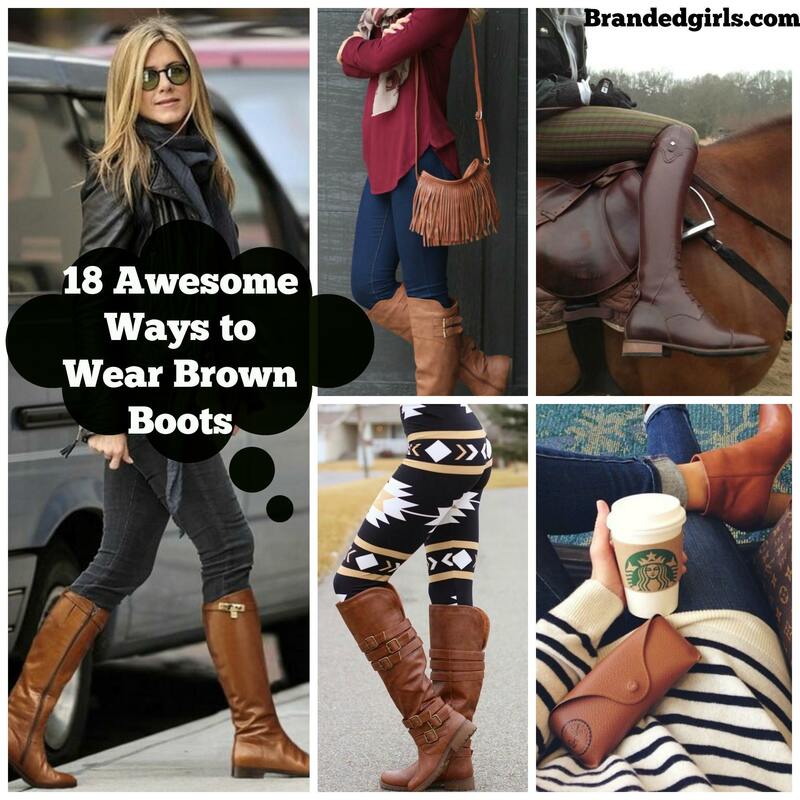 Try choosing flat boots or the ones with lower heels. This idea is perfect for winters and if you want to look chic and pretty during the winters too. Basically, this look is all about wearing leg warmers and along with it, you can wear long boots to match it. For the color combo, you can go for a denim mini skirt with off white colored loose sweater or cardigan and then go for classic brown colored long boots with gray colored leg warmers for the best combo for winters. Golden color is quite trending these days. Have fun by pairing glittery golden sandals with a blackish skirt and some funky top to give a totally funky look. If you like her hair, check out these [highlight]18 cute hairstyles for school girls[/highlight]. If you are wearing totally black dress that includes black shirt and black colored knee length skirt and you feel like going for black shoes is going to be too mainstream then switch to pure golden heels. Gold heels go with any colored dress from blue to orange to black. Give this unique combo a try. People usually think that brogues can only be worn with styles that are guy inspired but that’s not true any more. Try and pair them up with skirts and enjoy the look. For a dashing and chic combo, you can wear gray colored extremely loose top and tuck it in the jet black skirt in a messy way. For shoes, you can go for Brogues in black and gold colors to match the look because you can never go wrong with the combo of black and gold. Yes, you’ve heard it right. Clogs are the new favorite for summers and work perfectly with pleated skirts. This outfit and shoes are great for a casual day out. If you want to add extra spice into your combo game and if you want to make your combo full of different textures then go for this brilliant idea to match your outfit. For this combo, you can go for the off-white colored sleeveless shirt and tuck it all the way inside the black leather mini skirt. For the sneakers, go for leopard print slip on sneakers to give your whole outfit an extra hint of spice. You can pair up mid length skirts with soft colored mules but if you want to pair up mules with a mini skirt then go for the ones that are not much delicate. 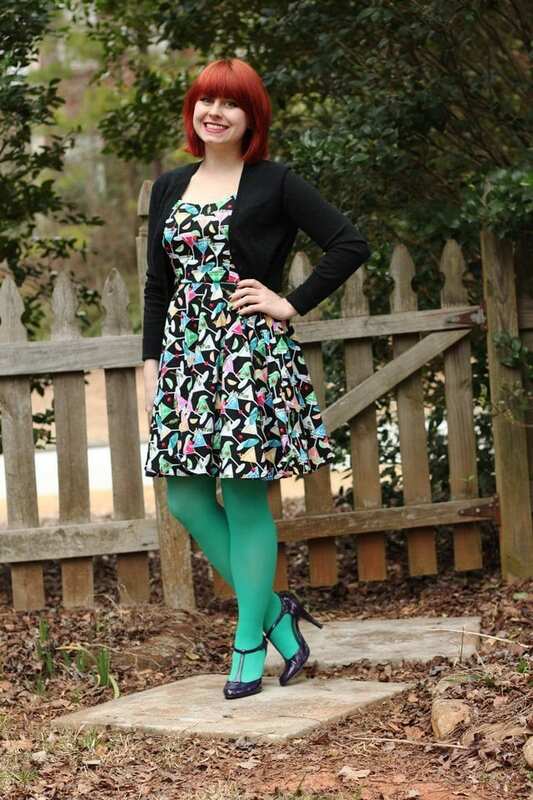 Contrasting colors are always a great idea when trying to find your shoes to match your whole outfit. For this contrasting look, you can go for leopard print skirt in black and white and then wear a formal blouse in pure white color and tuck that blouse all the way inside your skirt. The skirt can be of any length from knee length full length one, It is totally up to you. For the Shoes, go for bright orange-red colored mules to match with your outfit. You can wear any kind of bright colored mules for this outfit. 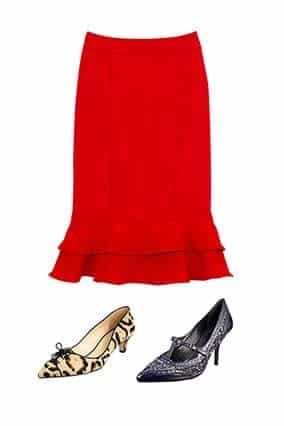 If you want a little more classic and formal look for parties and night out wth friends or even for date nights then this combo is the one that you have been looking for. For this combo you can need to wear black cropped top with classic brown colored knee length skirt and then wear a thick and prominent belt with it. For the shoes go for black colored gladiators to spice things up.